March is here! Finally! The winter may actually end now!!! 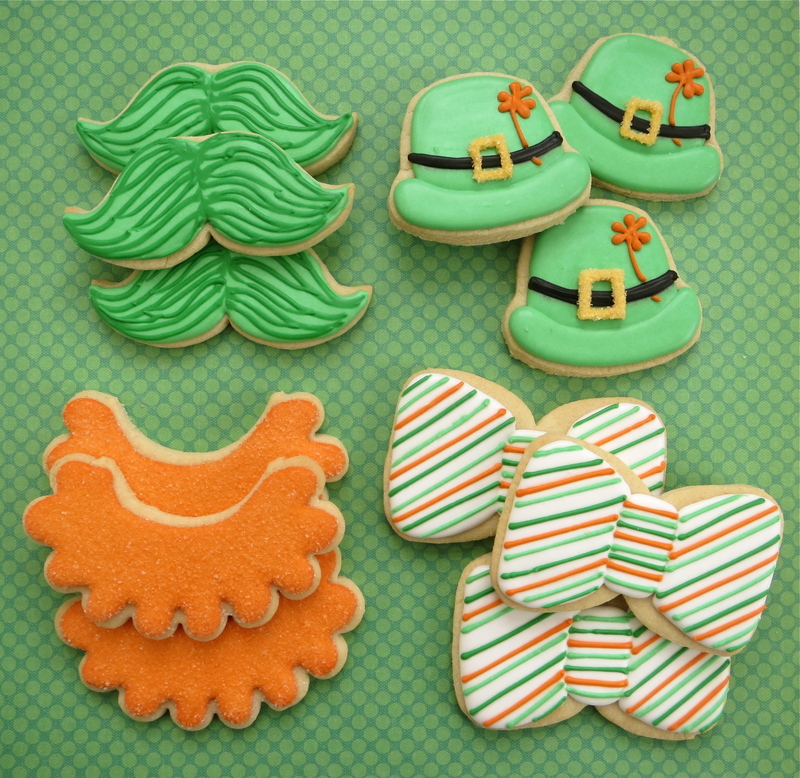 I feel like time is a wastin’ for St. Patrick’s Day treats, so let’s get right to it. That whole photo booth prop thing we all can’t get enough of, and don’t even get me started on mustaches. They are everywhere and on every thing. If you can’t beat ’em, join ’em, eh? 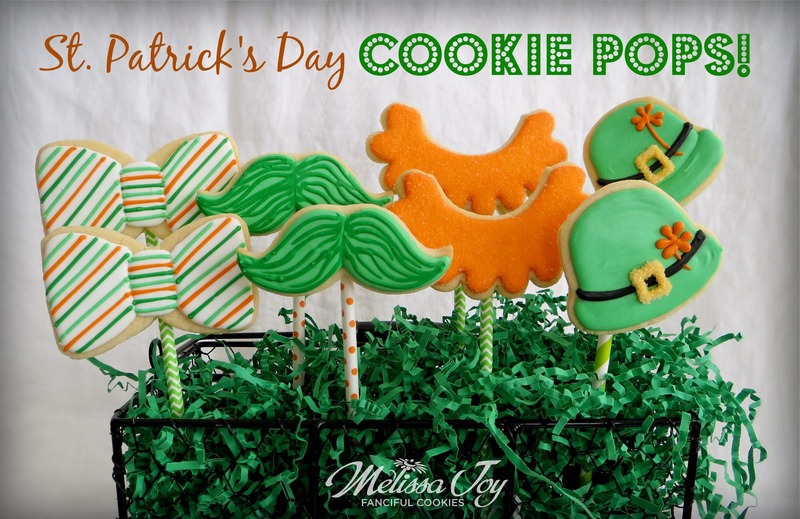 I’m all about fun, easy cookies for kids (both big and small) so these seem to fit the bill. 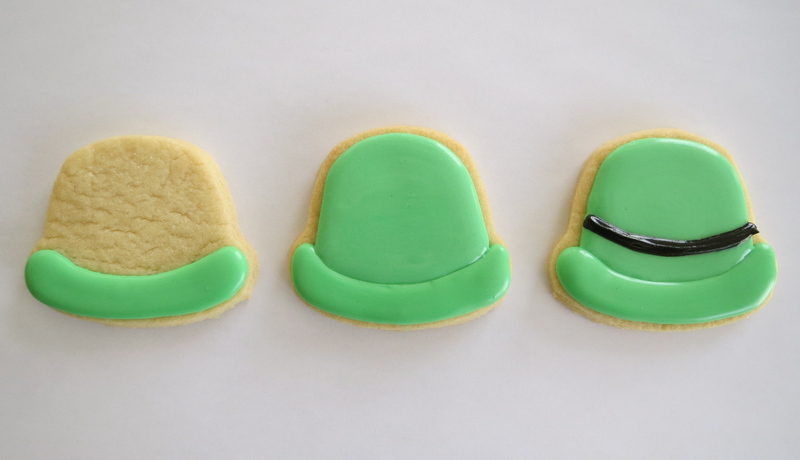 The hat and beard were made using these cookie cutters and a little creative trimming to get them just right. The mustache and bow tie shaped cutters I already owned, so no fuss there! This is the base of the festive St. Patty’s Day hat. 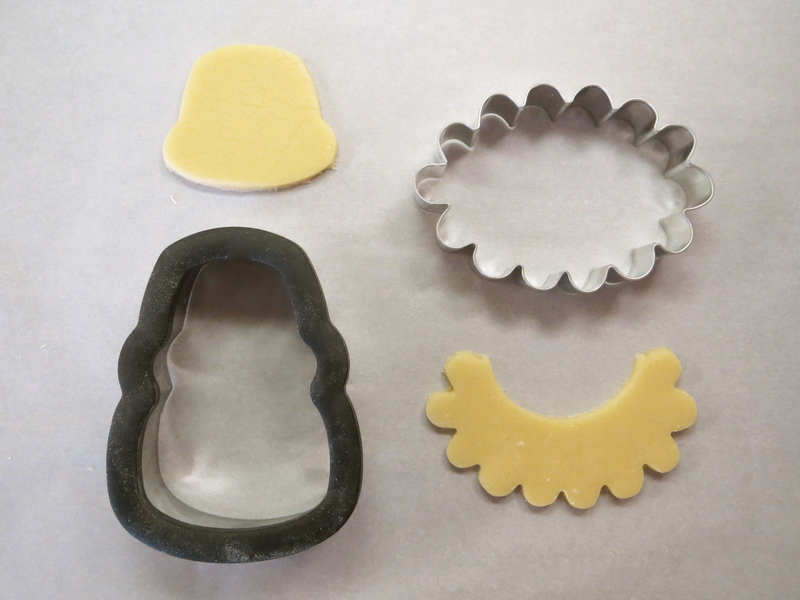 Leave each step of frosting to dry a bit before moving on to the next. Add the details of a buckle and clover when ready. I did a similar step by step for the bow ties, to give the knot some definition. I added a beard to the mix, and kept it simple by using only orange royal icing and sanding sugar. These would all be fine as they are, but who doesn’t love a cookie on a stick? 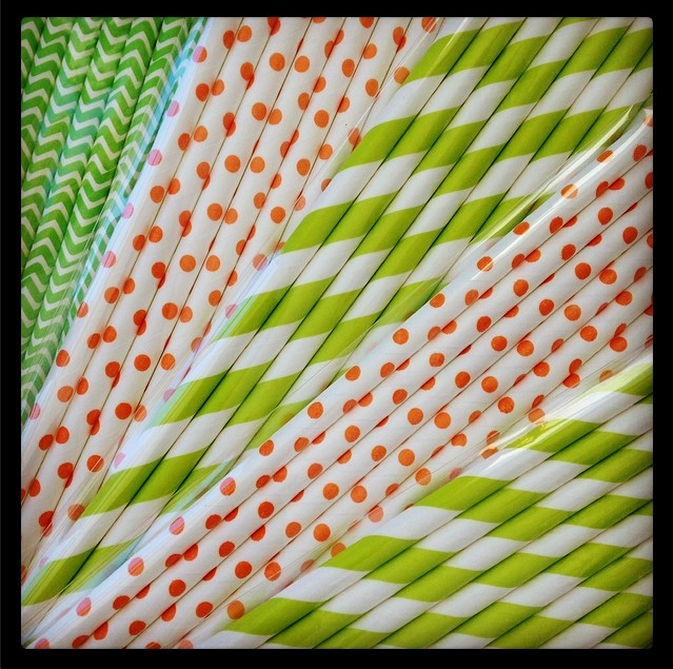 I had never worked with paper straws, so I took the method of “glueing” the stick to the cookie with royal icing from those decorators that have done it before. I did give the straws on the hats a bit of an angle, so it would have the proper placement when later used as a prop. Once fully dried, they were much sturdier than I thought they would be. 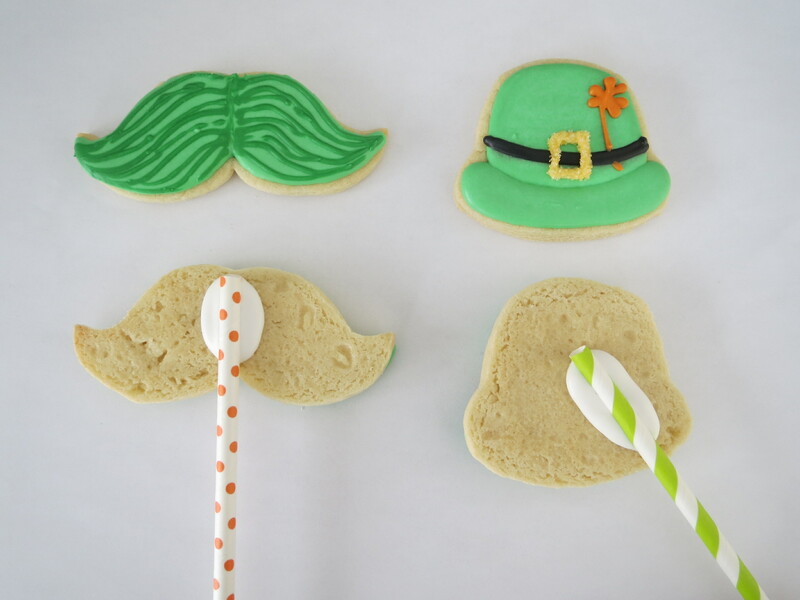 The kiddies are sure to have a blast with these, when everybody’s Irish on March 17th…. 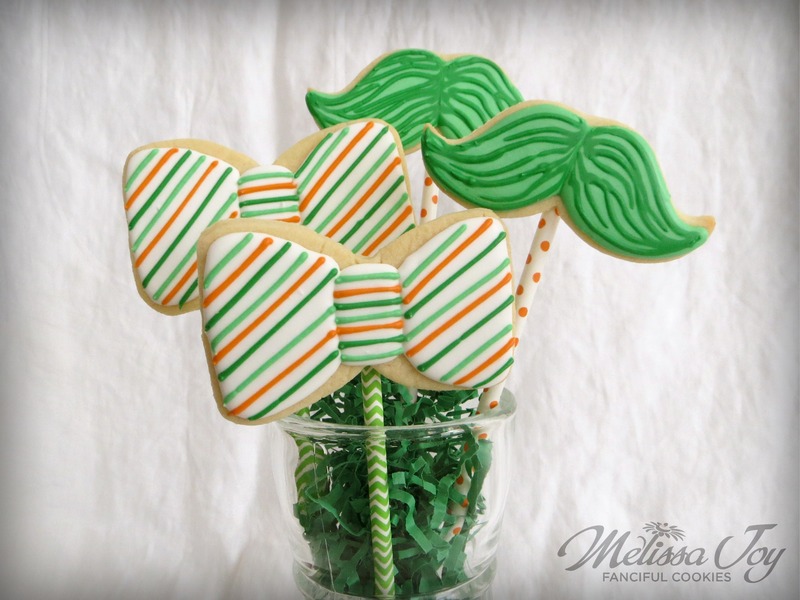 This entry was posted in Cookie Tutorials, Cookies for Kids, For Fun Cookies, St. Patrick's Day Cookies and tagged beard cookies, bow tie cookies, cookies on sticks, Irish Cookies, mustache cookies, paper straws, St. Patrick's Day Cookies, St. Patrick's Day Hats. Bookmark the permalink. They’re so cute, Melissa! 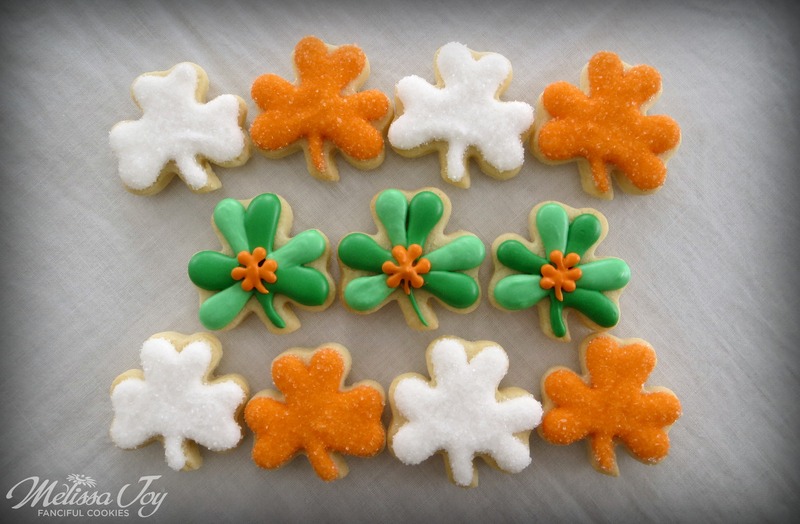 I can’t believe how fast St. Pat’s Day is coming….I am working on some cookies now…finally! Your pops are so fun! Omg! Thank you for this!! I tried to bake the cookie sticks on but they turned brown! I never thought this would work! Yay!! 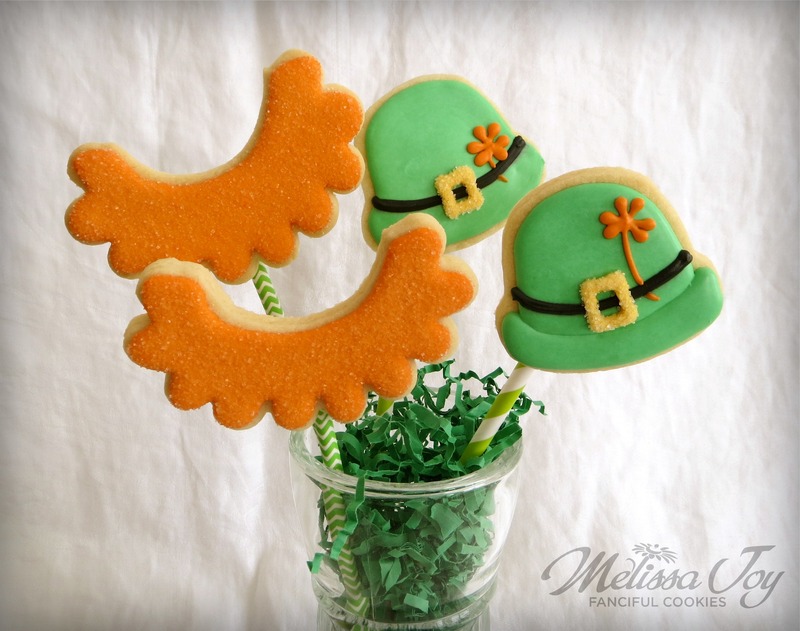 Hi: I can’t tell what cookie cutter you used to make the leprechaun hat! You have it pictured but I don’t recognize it. Thanks!